TIGERS, ELEPHANTS, bears and pangolins are four of the most widely traded species in the Golden Triangle border area where Thailand, Laos and Myanmar meet, according to a report by WWF released yesterday. On 12 April 2017, Thailand’s Ministry of Digital Economy and Society issued what the Bangkok Post called “a strange government directive”. The Nikkei ASEAN Manufacturing Purchasing Managers’ Index, or PMI, edged up slightly in October, signalling a mild improvement in the health of the sector. Metro Pacific Investment Corp. (MPIC) is firming up plans to tap investment opportunities in Asean particularly in toll roads, eyeing either in Malaysia or Indonesia by end of the year as part of strategy to build a Pan-Asean tollways group. United States President Donald J. Trump will have three major issues to discuss with his counterparts when he participates at the Association of Southeast Asian Nations (ASEAN) summit in Manila on November 12 to 13. Last week, defense ministers from around the region met for the ASEAN Defense Ministers Meeting (ADMM) and the ADMM-Plus in the Philippines, which are held annually and biannually among Southeast Asian states and some other major regional partners. A few days ahead of the 31st Association of Southeast Asian Nations (ASEAN) Summit and Related Summits, President Rodrigo Duterte indicated that the regional bloc would eventually follow the lead of the European Union (EU). China and members of the Association of Southeast Asian Nations (ASEAN) have held their largest-ever joint maritime rescue exercise, signalling a lull in South China Sea tensions. 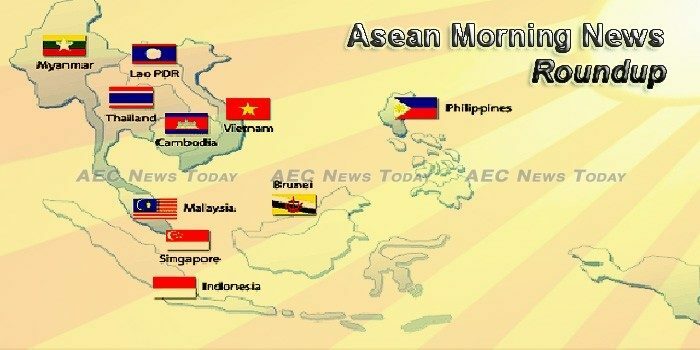 THE Association of Southeast Asian Nations (Asean) will become as relevant as the European Union (EU) and other regional blocs in the coming years, President Rodrigo Duterte said. Association of Southeast Asian Nations (ASEAN) would open opportunities to local government units (LGUs) and for the country to become a better nation. For the second year in a row, Cambodia has slipped further down the World Bank’s annual Doing Business report. Both the hike in the garment industry minimum wage and the recent political deterioration, perceived as a threat to the future of democracy in Cambodia, have received mixed responses from international businesses operating in the Kingdom’s lucrative garment sector. On the occassion of Water Festival, Prime Minister Hun Sen announced on Wednesday that the Royal Government has bought Koh Kong Bridge from Ly Yong Phat Company for people to travel free of charge. Indonesia continued a strong pace of reforms to improve its investment climate, says the World Bank Group’s latest Doing Business 2018: Reforming to Create Jobs report. The city administration reached a decision on Wednesday to set the provincial minimum wage at Rp 3.6 million (US$265). Fast moving consumer goods firm PT Unilever Indonesia booked Rp 31.21 trillion (US$2.3 billion) in revenue in the period from January to September. Government officials plan to introduce e-learning at the National University of Laos and teacher training colleges, the Minister of Education and Sports, Ms Sengdeuane Lachanthaboun, has said. The Bank of the Lao PDR will boost cooperation with commercial banks and enterprises to improve the management of money flow, aiming to comply with the regulations on the control of foreign reserves and strengthen the process. President Bounnhang Vorachit and high ranking government officials from Laos and Vietnam yesterday attended a groundbreaking ceremony for the construction of the new National Assembly (NA) building on the That Luang esplanade in Vientiane. Malaysia is investigating an alleged attempt to sell the data of more than 46 million mobile phone subscribers online, in what appears to be one of the largest leaks of customer data in Asia. Malaysia’s free trade agreement talks with the European Union (EU), which is slated to be renegotiated after a lull of five years, must address trade barriers that discriminate palm oil. A very good Malay friend has asked for my comments on whether Malaysia should worry about China’s investments in the country. Obviously, many Malaysians have begun to raise this question because the opposition has been passing negative remarks in their campaign against the Chinese investments secured by the federal government. THOUGH Myanmar’s beer consumption is low at 6 litres per capita on a yearly basis, Heineken Myanmar sees it as a good opportunity for its expansion in Myanmar, according to managing director Rene Sanchez Valle. Myanmar insisted on Wednesday it was ready to set up a repatriation process for Rohingya Muslims even as more risked their lives fleeing the country, but it voiced fears Bangladesh was delaying an accord to first get international aid money. The latest version of OpenSignal’s State of LTE report was released on Wednesday, November 1, and it points to the Philippines ranking lowly in both the availability of LTE connectivity and the speed of the LTE signal when compared to 76 other countries. The Philippines is well on its way to be a cashless nation, with 25 percent of consumers have indicated that traditional (physical credit card, bank transfer/Internet banking, cheque, etc.) and new payment methods are now their primary payment, survey said. hilippines Financial System Stability Committee has recorded stable economic conditions up to the third quarter this year, but it has also recorded negative perception of the people’s purchasing power, said a kontan.co.id report late Tuesday. Singapore unveiled a roadmap for strengthening its status as a financial hub in Asia, with the aim of growing the sector more than 4 percent a year and creating thousands of jobs. According to a study by the Sustainable Energy Association of Singapore, solar energy could possibly meet as much as a quarter of Singapore’s energy needs in 2025, said Deputy Prime Minister Teo Chee Hean at the Singapore International Energy Week (SIEW) last week. Singapore has offered assistance to promote India’s digital payment network RuPay card overseas by becoming its first international partner. While Thailand saw a strong jump to 26th in the World Bank’s ease of doing business rankings for 2018, the government is committed to tackling the remaining obstacles, says Prime Minister Prayut Chan-o-cha.. The Eastern Economic Corridor (EEC) Policy Committee has explained that the government has enforced Section 44 of the charter to revoke the town and country planning law in the EEC to expedite development and increase investor confidence. Central JD Commerce Co, a joint venture between top Thai retailer Central Group and JD.com, the biggest e-commerce company in China, vows to invest up to 100 billion baht over the next three years in e-commerce, e-logistics, e-finance, e-marketing and technology. Vietnam jumped 14 places to number 68 among 190 economies in terms of the ease of doing business this year, according to the latest rankings released by the World Bank. Asia’s emerging economies, including Thailand and India, have become significantly more business-friendly, according to this year’s Ease of Doing Business Ranking published by the World Bank on Tuesday.